Snoring may be a familiar companion, but just what is snoring and what are the causes and consequences? By understanding some of its basic features you may discover ways to eliminate its presence, especially if it is bothersome to your sleep or the sleep of your loved ones. Snoring is quite simply the sound produced during sleep by the vibration of the soft tissues in the upper airway, including the nose and throat. It typically happens when a breath is drawn in, but may also occur when breathing out. Snoring occurs occasionally in nearly everyone, yet many people snore chronically. In people 30 to 60 years old, 44 percent of men and 28 percent of women habitually snore. Women are more likely to snore after menopause. What Are the Causes of Snoring? When snoring is present, it suggests that the nose or throat may be partially obstructed during sleep. This obstruction leads to difficulties moving air. As a result, the air moves turbulently through the airway and this causes the vibration and sound of snoring. If the airway becomes completely blocked the result is obstructive sleep apnea. Even partial obstructions may lead to hypopneas or upper airway resistance syndrome (UARS), which are milder forms of sleep apnea. Alcohol is a muscle relaxant that can make snoring worse. In addition, medications that relax muscles (including benzodiazepines used as sleep aids and for anxiety) may have a similar impact. 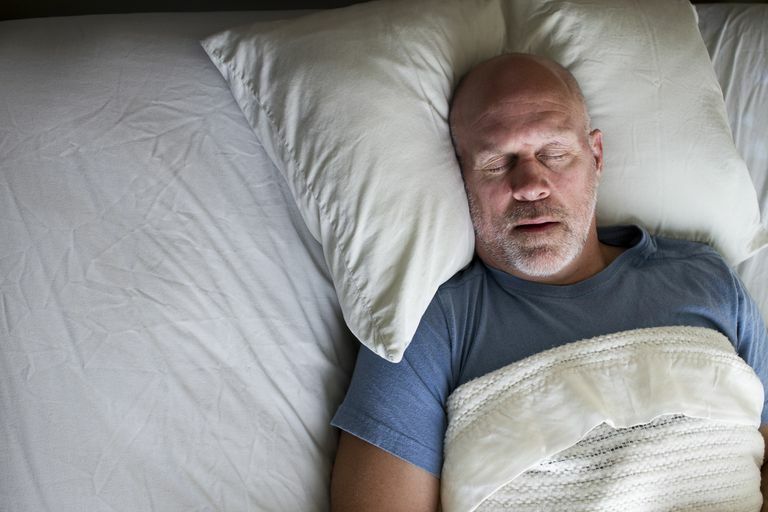 Mild snoring may have little effect on the quality of your sleep. However, as the airway becomes more obstructed the effort to breathe likewise increases. If breathing is compromised, the oxygen levels in the blood will drop. This may lead to temporary arousals and sleep may thus become disrupted. Snoring has been found to increase the risk of narrowing of the blood vessels within the neck, a phenomenon called carotid atherosclerosis. In a study of 110 patients, the total sleep time spent snoring the higher the risk of developing the narrowing. It is thought that direct vibratory damage of the carotid arteries within the neck may lead to increased plaque formation within these blood vessels. Perhaps the biggest problem with snoring (especially when it is loud) is the disruption of the sleep of others, including your bed partner. This may require special sleep arrangements, such as sleeping in the guest bedroom or on the couch. As indicated above, snoring is nearly universal and as such, it may not necessarily raise any concerns. There are some situations where it should be further evaluated, however. As it is associated with other conditions, these may need to be ruled out to ensure that no other health consequences occur. In addition, any difficulties related to your sinuses should be evaluated. If you have congestion in your nose, allergies, sinus infections (sinusitis), or a history of sinus surgery this may require further investigation. If you suffer from frequent sore throats or mouth breathing, you may have enlarged tonsils or adenoids. Difficulties with fatigue, weight gain, cold intolerance, and constipation may suggest hypothyroidism. A physical examination should include an assessment of the upper airway with measurement of your neck circumference as well as carefully looking at your nose, mouth, and throat. If your doctor suspects you may have sleep apnea, you may need to have a sleep study called a polysomnogram or a home sleep apnea test. Treatment of snoring is meant to target the underlying condition that is causing you to snore. It may include lifestyle changes such as weight loss or avoiding alcohol before bed, which may relax the airway. Surgery may also be an option, especially if you have a narrow airway because of a deviated septum or enlarged tonsils or adenoids. Targeting allergies may relieve nasal congestion, as can over-the-counter aids like Breathe Right strips. When associated with sleep apnea, continuous positive airway pressure (CPAP) or an oral appliance may be helpful. Regardless of the ultimate treatment pursued, if needed, a careful evaluation may provide the reassurance you need to sleep soundly. American Academy of Sleep Medicine. "International classification of sleep disorders: Diagnostic and coding manual." 2nd ed. 2005. Lee, SA et al. "Heavy snoring as a cause of carotid artery atherosclerosis." Sleep. 2008;31:1207. Young, T et al. "The occurrence of sleep-disordered breathing among middle-aged adults." N Engl J Med 1993;328:1230.